With the win by Remedy Olivamine in this game, they deserve the title of Best Lotion for Extremely Dry Skin. Do You Want the BEST Lotion for Extremely Dry Skin? In one corner we have Remedy Olivamine. In the other corner we have Shikai Borage Therapy. Remedy Olivamine brings a medical background to the table. Shikai Borage brings experience of a chemist. These two will go head to head in a battle to the finish in this NSEW General Divisional rivalry game. As you can see from this list, Remedy Olivamine has a long list of talent from which to draw from. Shikai Borage’s talent is diverse and deep. Remedy kicks off and Shikai takes the field. Shikai takes the early lead riding on the back of the talent Aloe Vera. Remedy Olivamine didn’t have an answer for this well known player for most of the drive. Aloe Vera made an impact on this game with a strong showing regarding rejuvenating, healing, and soothing properties. While the showing was strong, contradicting studies kept this play from getting into the end zone. Remedy Olivamine makes a strong play call with Remedy Olivamine’s version of Dimethicon. This ingredient is sometimes called Polydimethylsiloxane. This player is very slippery, which makes them difficult to contain. A little known fact about Dimethicon is it’s background in Silly Putty. This play by Remedy Olivamine was sneaky, but it only resulted in a FG. Shikai takes a touchback on the kickoff and starts at the 20. The Shikai coach calls an audible on the snap and plays Shea Butter. Since Shea Butter is a recent acquisition for Shikai from Africa, Remedy Olivamine isn’t ready for this smooth player. A couple of of Shea Butter’s moves on the drive are naturally increasing skin hydration, and skin lipids. Shikai rides their coaches play into the end zone as Shea Butter scores the touchdown. The extra point is good. The coach for Remedy Olivamine seems to be very calm and collected on the sideline. No worries seems to be the mood. With a furrowed brow, the offensive coordinator looks down the play sheet and calls on Ascorbic Acid. Ascorbic Acid (nicknamed AA), has several talents. By far the best is AA’s ability to provide antioxidents. This trait provides preservative properties that allow Remedy Olivamine to stay in the game for the long haul. This conservative play by the coach results in a very long drive that stall short of the end zone. But, AA held on long enough to get into FG range for a short FG attempt. Remedy Olivamine for the FG. GOOD! Shikai having possession of the ball and holding a lead, goes for the jugular by sending out Jojoba Seed Oil on their next drive. Jojoba seed oil has been coveted by many lotions and moisturizers for its skill with handling skin, hair, and cuticles. The all natural source that Jojoba seed oil employs is a big hit among those looking for a pure organic lotion. Side talents that make Jojoba so successful as a player are things like being a fungicide. Any defense that is trying to stop Shikai using mildew is immediately thwarted. Other talents include fighting skin inflammation. Also, a friend of the face, Jojoba keep that pesky acne from blowing up the offenses playbook. Remedy Olivamine threw many defensive players at the Shikai offense. But, Shikai rode Jojoba seed oil into the end zone for a TOUCHDOWN! Extra point (Jojoba fighting skin infections) was GOOD. Sensing that the game is getting away from Remedy, the RO coach reaches deep into his playbook and sends Pyridoxine HCL into the game. This B6 vitamin Pyridoxine Hydrochloride is known as a dietary supplement (not exactly the perfect ingredient for the best lotion for extremely dry skin). After this drive seemed to be taking too much time, the RO coach has called a trick play to try and convert a lagging drive into quick points. But, while Pyridoxine HCL does provide vitamin benefits, it wasn’t much help RO get more skin (care) in the game. The drive got RO into position for a long field goal. But, Pyridoxine HCL missed the mark on a long FG (wide right) and RO drive comes up empty on possession where they really needed points to stay close. Shikai’s coach sends in the hurry up offense to try and get on the board before time runs out in the half. Shikai Dimethicone is the option that the coach turns to. With the clock running out, time is of the essence. Dimethicone starts with a dry skin prevention for a short gain, but doesn’t get out of bounds to stop the clock. Dimethicone gets to the line of scrimmage and follows up with talents that beat itchy skin down the sideline to stop the clock. Itchy skin had no chance against DimCone (that’s what his teammates call him). Dimethicone then crosses over the middle of the field to avoid Wetness (who was looking to slip DimCone up on the crossing route). DimCone makes the catch to get into field goal range, but the clock keeps running. Having run out of timeouts, Shikai makes one last throw into the end zone hoping to capitalize on DimCone’s great talents. But, DimCone was out of tricks. The incomplete attempt allowed the clock to stop and try a 35 yard FG. 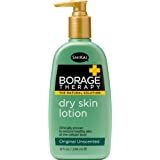 On the back of Dimethicone’s talents that treat and prevent rough, dry and itchy skin in RO’s defense, Shikai Borage kicks the FG as time runs out on halftime. FG GOOD! Shikai has dominated the first half and have a big lead to show for it. Remedy Olivamine might have been a slight favorite coming into this game, but their coaching staff has to be disappointed with their teams showing thus far. But, Remedy Olivamine is a deep team. There are many players that can still step up in this game to give RO a boost. The question is whether or not RO has dug too deep a hole to get out of. Shikai has to feel great about the two touchdown lead. They have been very efficient getting scores on every drive. But, they might also wonder if they’ve let an opportunity to bury Remedy slip away. Settling for two field goals has allowed RO to stay somewhat close. Shikai has to feel great about keeping Remedy Olivamine out of the end zone for the entire first half. The Shikai coaching staff did a wonderful job anticipating what RO was attacking with. But, they also have to wonder if Remedy Olivamine will making adjustments after seeing what happened in the first half. RO now knows what’s been not working and with their deep bench their coaching staff has some good cards left to play. They just need to figure out the proper attack to get into the end zone instead of settling for FGs. The Remedy Olivamine has made an adjustment at halftime to go to the hurry up offense. Feeling the need to make the game longer (more opportunities), the RO coach opens with the quick strike hitting Aloe Barbadensis Leaf Juice. AbleJ (Aloe Barbadensis Leaf Juice’s nickname), steps up to the plate with several quick strike talents. AbleJ is really just a relative of the Aloe Vera player on the Shikai team. But, this relative brings antioxidents like Beta Carotene, Vitamin C and Vitamin E.
Each play was strong and covered the field quickly with strikes of 13, 23, and 11 yards. AbleJ is a key contributor to Remedy Olivamine’s bid to become the best lotion for extremely dry skin (goes to the winner of this game). Aloe Barbadensis Leaf Juice stayed in the pocket on the next play to protect Skin (RO QB). A blitz by Shikai was picked up and the rushers didn’t get close to Skin. The play covered 25 yards. AbleJ took a draw play up the middle for 8 yards for the quick score. TOUCHDOWN!! The extra point (over 20 minerals in Aloe Barbadensis Leaf Juice) was GOOD. The Shikai coach snuck Ethylhexyl Glycerin into the game. He lacks colour and is practically odorless, so the Remedy coach didn’t immediately notice him. With the surprise substitution into the game, Shikai took that advantage down the field on some clever trick plays that attacked the Remedy Ovaline odor causing bacteria secondary. The Shikai coach also took advantage of Ethylhexyl Glycerin’s ability to attack eczema. Remedy head coach was livid at their defensive coordinator when they realized that eczema wasn’t going to be able to bother Ethylhexyl Glycerin at all on defense. Shikai’s coach seeing the mismatch implemented the hurry up offense to not allow the Remedy Ovaline defensive coordinator to remove eczema from the game. Ethylhexyl Glycerin destroyed eczema on the drive with runs that covered patches of real estate covering 12, 25 and 15 yards. EG then took a screen pass on the right side from 21 yard that ended with Ethylhexyl Glycerin plowing over eczema at the goal line for a TOUCHDOWN! The extra point (Ethylhexyl Glycerin acting as a mild deodorant agent) was GOOD! The Remedy coach looks down the deep Remedy Olivamine bench and nods to Ascorbyl Palmitate. Ascorbyl Palmitate‘s talent are derived from an ester made up of ascorbic acid and palmitic acid. This unusual combination of talent results in a form of vitamin C that is fat-soluble. This is a sneaky play by the Remedy coach as Shikai doesn’t have any idea that Vitamin C is about to attack its defense. AP’s Vitamin C brings antioxidant properties that are the All-Star of skin treatment. AP gives Remedy enough Vitamin C to make Remedy the best lotion for extremely dry skin. On this drive AP combines it’s talents to flood the defense with Vitamin C on the first play for a huge 45 yard gain (younger looking skin). Ascorbyl Palmitate has had some recent bad press. Some studies have shown that AP is dangerous if used on your skin and then your skin is exposed to UV sunlight. This being a night game, the Remedy coach felt comfortable making this play. But, those that are fans of AP should be aware (see here and here). Please wear appropriate UV sun blocks, or stay out of the sun when using Ascorbyl Palmitate. Ascorbyl Palmitate finished up the Remedy drive with strong collagen production and bulled into the end zone for a 2 yard run. TOUCHDOWN! The extra point (replacing Vitamin C levels for the middle aged) was GOOD! With a touchdown lead, Shikai’s coach is looking to put together a long, time consuming drive that ends in points. With that in mind, Shikai sends out Purified Water. The Shikai brand of Purified Water flows into the game and immediately takes over with it’s powerful running (water) game. Like the ocean pounding the beach, Shikai Purified Water crashes into Remedy defense over and over again with it’s powerful surging offense. Five consecutive runs of 2, 4, and 5 yards gave Shikai it’s first first down of the drive and ran the clock to the end of the Third Quarter. Over and over again: 3 yards, 7 yards, 4 yards, 4 yards, 3 yards. Shikai Purified Water was running clock and running through the Remedy defense making Remedy Olivamine’s defense look like a sieve. Shikai’s Purified Water was like an unstoppable waterfall. The drive consumed just under 10 minutes of game clock and ended with a 4 yard plunge for a TOUCHDOWN! The extra point (moister skin) was GOOD. The Remedy Olivamine coach looked helpless on the sidelines as Shikai marched down the field in dominant fashion consuming huge chunks of clock. So, to speed things up, Remedy sends in Canola Oil to run the hurry up offense. Needing to score fast, Canola Oil needs to be slick with all of it’s talents. With Canola Oil, Remedy is starting to show why it’s the best lotion for extremely dry skin. CO brings several talents to the lotion field. It starts the drive off with the healing strength of Vitamin E. Vitamin E heals the holes in the offensive line for long enough to allow a pass completions to Canola Oil who slipped past the cornerback who was trying to press dry skin on CO at the line of scrimmage. Canola Oil cut a crossing pattern over the middle and outran the defense to the sidelines to get out of bounds and stop the clock after a 35 yard gainer. Canola Oil then uses Vitamin K to run a spider vein route. Three receivers sprinted up field and dispersed in different directions. Canola Oil used its Vitamin K talent and was able to sit down on the route for a 20 yard reception. Remedy hurries up to the line of scrimmage to run the next play and Canola Oil pulls out its moisturizing talent to spray a few drops on the dry skin defensive backfield of Shikai. Jumping high in the corner of the end zone, Canola Oil squeezes the ball hard and taps its toes just inside the end zone corner lines for a 23 yard TOUCHDOWN! The extra point (CO treating skin infections) was GOOD! Using Safflower Seed Oil’s lubricant talents, Shikai’s coach is hoping to slip in a first down or two to run the clock out on this game. Olivamine Remedy knowing that Shikai might try to run the ball to keep the clock moving, packs the line of scrimmage with defenders. Safflower Seed Oil squirts through the line and into the secondary on the first play. Breaking into the open field, only a speedy Remedy defender is able to run Safflower down and push them out of bounds after a run for 50 yards. In an attempt to power closer to the goal line, Shikai uses the Linoleic Acid properties of Safflower Seed Oil for runs of 3 and 3 yards. On a 3rd down and 4 yards to go, Safflower Seed Oil tries a sweep over the right side, but is stopped short of the 1st down. The clock winds down to the 2 minute warning as the Shikai kicking team lines up for the kick. Safflower Seed Oil then applies its soothing and antioxidant talents to chip a 48 yard field goal through the uprights. The kick is GOOD! The Remedy Olivamine coach desperate to score quickly sends Cetyl Alcohol into the game. Cetyl Alcohol, also known as Palmityl Alcohol, provides opacity, and thickness talents. 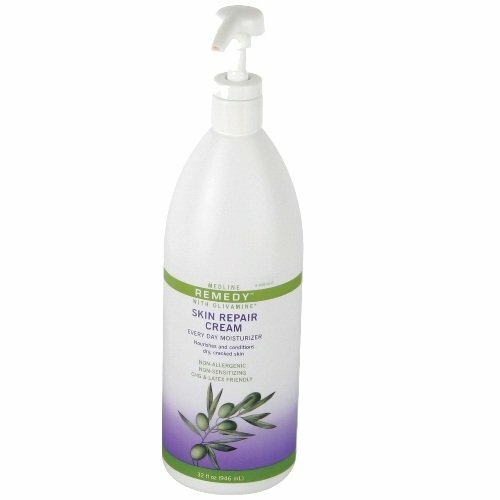 All traits that make Remedy a strong candidate for the best lotion for extremely dry skin. But, is there enough time for Palmityl Alcohol to accomplish his dry skin goals? With the clock running low, Cetyl Alcohol calls a middle screen pass which completely surprises the defense as they were expecting side line patterns to get out of bounds and stop the clock. Receiving the middle screen pass, Cetyl Alcohol uses it’s thick legs to break tackles, then hides behind its blockers where the defense can see it. This technique works for 35 yards up the middle. The Remedy coach calls a quick timeout as the play only takes 15 seconds. On the next play, Cetyl Alcohol fakes the same play up the middle, then as the quarterback rolls away from the pass rush, Cetyl Alcohol cuts towards the sidelines to receive a 17 yard pass, plowing through the sideline defender to get out of bounds and stop the clock again. Cetyl Alcohol then surprises the defense again with a draw play up the middle. The WRs were sent deep, so with the linebackers defending the sidelines, Cetyl Alcohol is able to rumble up the middle for another 13 yards. Timeout Remedy. This leaves Remedy with only one timeout as the clock is approaching one minute left in the game. Now in the red zone, Cetyl Alcohol takes a shot with a fade route. With fade not being a strong talent of Cetyl Alcohol (better with thicker routes), Shikai almost intercepts the ball, but isn’t able keep both feet in bounds. Cetyl Alcohol, learning it’s lesson about fading, decides to stay strong up the middle and goes for the end zone with a post route. Cetyl Alcohol is able to catch the ball in heavy traffic on the 5 yard line, and takes a huge hit from the Shikai defender, but is able to bounce off the DB to stumble into the end zone for a TOUCHDOWN! The extra point (lubrication) is GOOD! With only 48 seconds left in the game, the Remedy coach lines up the team for an onside kick. The Remedy coach lines up Citrus Aurantium Dulcis (nicknamed Orange) on one side of the ball as if kicking to the right side of the field. The Remedy coach lines up Citrus Grandis (nicknamed Grapefruit) on the other side of the ball as if kicking to the left side of the field. The other Remedy players line up wide on both sides. Shikai puts it’s “hands” team on defense to defend the kick, splitting its players half on one side of the field towards the sidelines, and the other half on the other side of the field towards the side lines. One player is left in the middle to protect the middle of the field. The referee blows the whistle. Citrus Aurantium Dulcis approaches the ball, but fakes to kick it. Citrus Grandis then closely follows Orange and as it approaches the ball, all of the Remedy players run towards the center of the field. Citrus Grandis then taps the ball straight down the middle of the field. All of the Remedy players but Grapefruit then run past the ball and smash into the Shikai players as they scramble towards the middle of the field trying to get to the ball. But, Remedy has skillfully crafted this onside kick. They completely shield all Shikai players away from the ball, and as the ball slowly rolls forward, Grapefruit impatiently waits for the ball to travel 10 yards. To the relief of Grapefruit and all of the Remedy fans, Grapefruit is able to pounce on the ball once it crosses the 10 yard marker. Its a Remedy recovery just past Remedy’s own 45 yard line. But, with 42 seconds left, Remedy is still alive and its fans are going nuts with this spectacularly executed onside kick. With only 42 seconds on the clock and 1 timeout, Remedy Olivamine’s coach is feeling hyperventilation coming on from the excitement of the game and selects Hydroxythyrosol to calm things down. Hydroxythyrosol is a strong antioxidant derived from Olive Oil. Hydroxythyrosol is able to manage long wave ultraviolet radiation easily which results in protection from skin damage. With the one timeout, Hydroxythyrosol is still able to work the middle of the field to form pockets of safety from the ultraviolet radiation the defense is trying to apply to Remedy. Starting at their own 45 yard line, Hydroxythyrosol needs to get to the 30 yard line to improve the kickers chances at game tying FG. On the first play, Hydroxythyrosol runs an out pattern and catches the ball and is able to get out of bound for a 5 yard gain to the 50 yard line. Shikai is playing a prevent defense to keep all of the Remedy WRs in front of them and this allows Hydroxythyrosol to make a quick catch for the 5 yard gainer that take the clock down to 37 seconds. Hydroxythyrosol then brings out its strength and run an antioxidant pattern across the middle of the field to create an opening. Hydroxythyrosol is able to leap up and catch the ball for a 17 yard gain to the 33 yard line. The Remedy team sprints up to the line of scrimmage and spikes the ball to try and keep their last timeout. The spike of the ball leaves 17 seconds on the clock. Hydroxythyrosol runs the same antioxidant play again and it results in another 17 yard gain down to the 10 yard line. Remedy uses their last timeout to stop the clock with 10 seconds left. The crowd erupts with this play, and the Shikai fans are very nervous as they’ve been in control of this game for the entire game. With 10 seconds left from the 10 yard line, Hydroxythyrosol needs to be careful not to be tackled in the field of play or the clock will run out. Remedy lines up in the shotgun and spreads out 3 receivers left and Hydroxythyrosol right keeping a RB in to block. The Remedy QB throws the fade route to Hydroxythyrosol on the right and Hydroxythyrosol catches the ball as he’s being pushed out of bounds with 5 seconds on the clock. A TOUCHDOWN was the ruling on the field. But, it’s unclear if Hydroxythyrosol gets both feet in bounds. Shikai and Remedy fans can hardly breath as the play is under review. After several minutes of review, the referee steps onto the field, opens up his microphone, and states “After review, the call on the field STANDS”. The Remedy Olivamine fans go NUTS! Remedy lines up and kicks the extra point. It is GOOD. Remedy kicks the kickoff short to keep the Shikai talented kick returners from gaining speed. The Shikai up man laterals back to the speedy Shikai returner. The Shikai speedster is bottled up and the game clock expires. Remedy Olivamine wins the game after an incredible comeback! Remedy Olivamine wins the game and retains the title of Best Lotion For Extremely Dry Skin (for now). Shikai wins the coin toss and will receive. 0 - 3 11:23 Shikai drives down the field on the strength of certified "friend of skin" organic aloe vera gel. But, stalls just short of the goal line to settle for a FG. 3 - 10 1:47 Shikai's coach plays Shea Butter who takes Shikai into the end zone for a touchdown (Extra point is good). 6 - 17 6:46 Shikai sends Jojoba Seed Oil into the game. Jojoba leads Shikai down the field for a long drive that plunges into the end zone from 4 yards. TOUCHDOWN! Extra point GOOD. 6 - 20 0:02 Shikai hurry up offense featuring Dimethicone makes it down the field with enough time to attempt a 35 yard FG at time expires. FG GOOD! Start of 3rd Quarter 6 - 20 15:00 Shikai kicks off. 13 - 27 6:22 Shikai's Ethylhexyl Glycerin catches a screen pass on the right side of the field and plows over eczema for a 21 yard TOUCHDOWN! Extra point GOOD! 20 - 34 6:01 Shikai's Purified Water plunged into the end zone on a 4 yard run for a TOUCHDOWN! Extra point GOOD! 27 - 37 1:54 Shikai's Safflower Seed Oil kicks a 48 yard FG that is GOOD!